Throughout the Ancien Régime, mythology played a vital role in opera, defining such epoch-making works as Claudio Monteverdi's La favola d'Orfeo (1607) and Christoph Gluck's Iphigénie en Tauride (1779). The operatic presence of the Greco-Roman gods and heroes was anything but unambiguous or unproblematic, however. (Dis)embodying Myths in Ancien Régime Opera highlights myth's chameleonic life in the Italian dramma per musica and French tragédie en musique of the seventeenth and eighteenth centuries. Written by eminent scholars in the fields of music, literature, theatre, and cultural studies, the six essays in this book address important questions. Through what ideological lenses did the Ancien Régime perceive an ancient legacy that was fundamentally pagan and fictitious, as opposed to Christian and rationalistic? What dramaturgies did librettists and composers devise to adapt mythical topics to altering philosophical and esthetic doctrines? Were the ancients' precepts obeyed or precisely overridden by the age of ‘classicism'? And how could myths be made to fit changing modes of spectatorship? Bruno Forment is postdoctoral fellow (FWO) at Ghent University and Lecturer at the Vrije Universiteit Brussel, where he specializes in operatic poetry, music, and stage design of the eighteenth century and Belle Époque. The articles are generally of high quality [...] the volume is an important contribution to our knowledge of opera in the Ancien Régime. 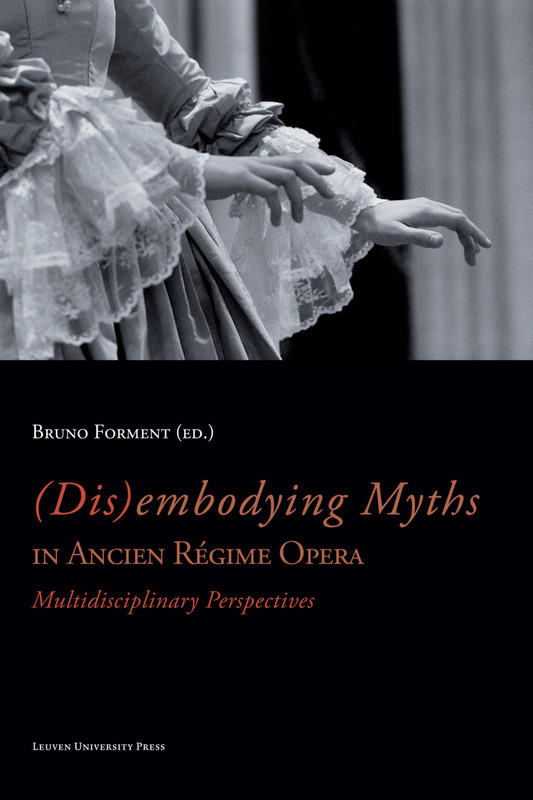 '(Dis)embodying Myths in Ancien Régime Opera' is an attractive volume that offers useful critical perspectives on seventeenth- and eighteenth-century opera, and is a welcome and stimulating addition to early opera studies. For those already engaged in such work, nevertheless, its leanness also serves as a reminder of how much progress is still to be made in this area.